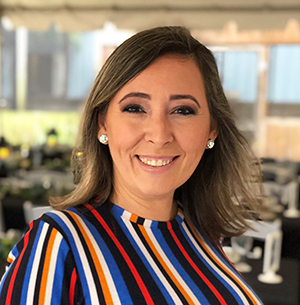 Born in Spain and raised in Venezuela, Juana brings a unique mix of multicultural understanding and project management insight to each of her projects. She specializes in collegiate life architecture, including dining facilities and student centers, as well as a variety of other project types including healthcare facilities, assisted living facilities, corporate offices and retail developments. Never satisfied with the status quo, Juana takes great pride in being a team player and pursuing excellence. A disarming smile and contagious laugh. Her knowledge, no-nonsense attitude and grace under pressure.